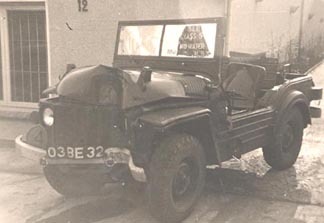 This page lists chassis numbers on the left, followed by a civilian registration, if there is, or was, one and any known military and\or civilian data. After the chassis numbers are civilian registrations where the chassis numbers are not known, if you know a chassis number please let me know. 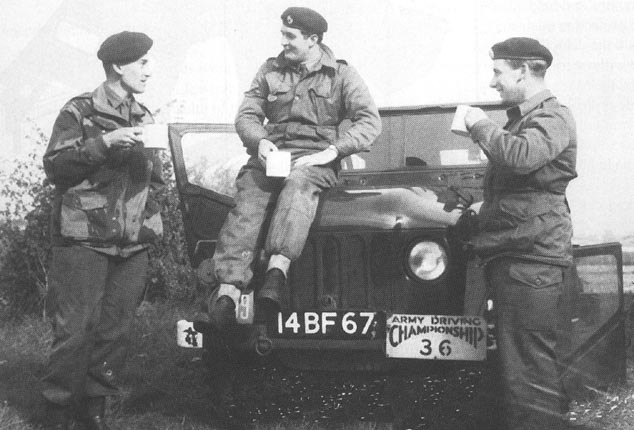 Any Date into Service (DiS), Date of Disposal (DoD) by the army and regimental information would have been supplied mainly by John Mastrangelo (JM) and some by Gus Gowers, Gus wrote the books, The Champ Enigma and The Legend Lives On, both no longer in print. A further source on individual Champs is the Austin Champ Owners Club website. To find a Champ use keys, Ctl and F and type in actual chassis or civilian registration number. 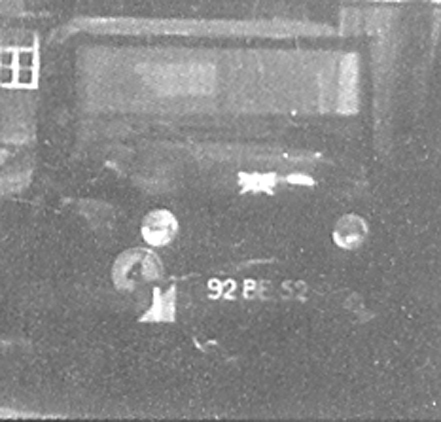 Also, the same with keywords: if you are looking for, say, how RMP (Royal Military Police) Austin Champs were marked then, Ctl+F and type-in RMP, other keywords are, bridge plate, wing mirror, flagpole, flashing beacon, self-propelled, recoilless, Antitank, tank, rifle, diesel, Browning, machine gun, trailer, spare wheel, towbar, towhook, etc. Also, owner's of long ago often want to know if their old Champ survived and, to find these, search, trace. Champs currently for sale . In-service numbers on the number plates front and rear are, two numbers, two letters and two numbers, and if an in-service photo shows the number plates then the chassis number can be worked out, e.g. 26 BE 76 is chassis number 2676. With the BE system registrations could be made up to chassis number 9999, which would be 99 BE 99 but when chassis numbers went over 10,000 BF was used instead of BE, e.g. 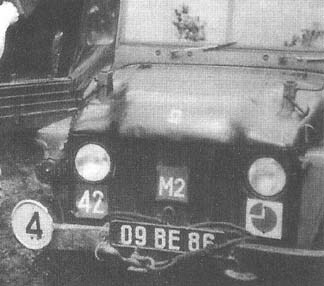 chassis number 11345, would be 13 BF 45, or put the other way around, if a photo shows, 09 BF 87, the chassis number is 10987. Champs that only the civilian registration number is known are at the bottom of the list and if you know the chassis number please e-mail it in and, perhaps, there is a known photo of the Champ in military service. 001 001, 00 BE 01. The first Champ? 0034 0034, 00 BE 34. In serice photos and notes. Possible Junior Leaders Battalion. 0084 John Mastrangelo, mentioned in an article in MVT WINDSCREEN magazine, no. 111, 2006, page 47. 0167 Scrapped in Yorkshire (John Mastrangelo). 0198 On eBay September 2015. 0201 02 BE 01 towing a box trailer in West Germany 1953. 0253 For sale on eBay 2013 and in MVT magazine September 2012. A good picture of a water bowser. 0272 0272, 02 BE 72. Germany 1954. Has something on the nearside bumper, infrared? 0367 O367, 03 BE 67 was used in the Austin Champ immersion tests. 0986 from MV magazine, September 1986. 1323 1323, 13 BE 23. Adverts in CN in 2000. 1624 1624, 16 BE 24. Acquired by Simon in Australia in 2012 and undergoing extensive restoration. 1758 17 BE 58 1758 is in Belgium, November 2012. 1898 18 BE 98, from WINDSCREEN magazine, 2000. In Australia. 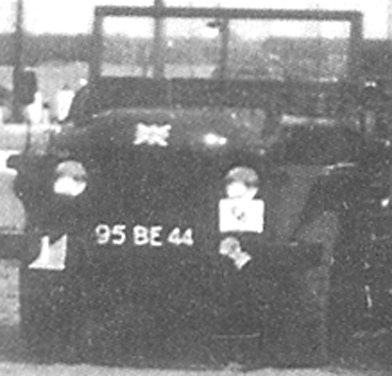 1939 19 BE 39. 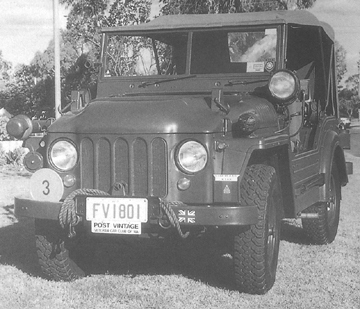 An FFR Champ with radios around 1954. The driver was Harry North. 2269, 357 WKK 2269, 22 BE 69 under restoration. A good picture of an engine\gearbox lifting crane. 2305 2305 is a recreation of an armoured Champ. 2328, VSK 177 March 2012. Was advertised on Milweb and ebay, seller, champloon, item no. 320860872127 and some previous history. 2411 24 BE 11. From WINDSCREEN magazine summer 2008. 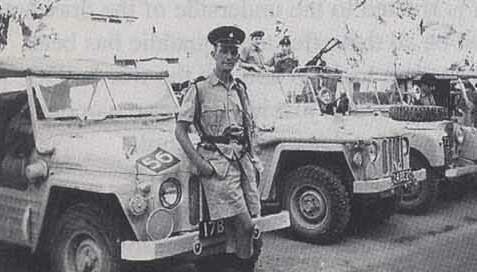 Serving with the Royal Military Police. 2420 24 BE 20. From Legend magazine Ocotober 2002. John Mastrangelo, "1st.Battalion The Royal Ulster Rifles of 51st. Independent Infantry Brigade. The number 56 indicated the second infantry battalion in the brigade between 6/6/51 and 10/3/59. 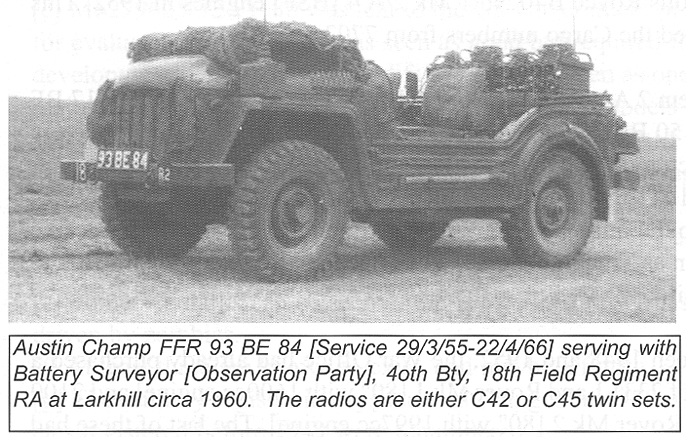 Saw service between 24/9/53 and 29/11/66." 25 BE 93, On ebay October 2015, £25,000. 26 BE 53, engine no. 50140. Photo 1 and 2. June 2000. Photo 3. Advertised in CN Nov. 2003 for £4,000. Notes: the tyres are Goodyear Hi-Miler Xtra Grip, the front driver's tyre is the wrong way around (they are directional tyres). In All Wheel Drive magazine Oct. 2000 and Classic & Sports Car March 2001. 2816 On eBay March 2012. Notes: both chassis plates; wiper motor/s non-standard. 2885 from MVT's Windscreen magazine 2006. (2nd. from left in photo). John Mastrangelo, "(Can't guarantee I have the registrations correctly). Anti-Tank platoon of the Support Company of 2nd Btn the Parachute Regiment 16th. Ind. Airb. Bde. in Jordan during July 1958. 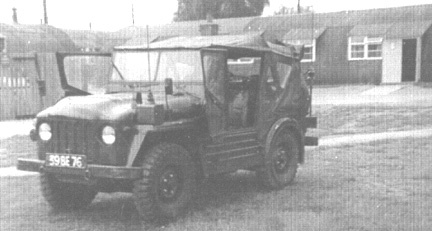 Ambulance version, (on the left in photo) saw service 29/6/53 to 1/8/62. 3124, TAR 26D (B971 ACF) TAR 987D I am confused on this Champ. 3124 as TAR 26D was first seen as a Classifed advert on eBay January 2014 but in December 2015 3124 as TAR 987D sold on eBay, 231781562065, for £4,721.00? Click on 3124 on left to see listing. 3574 On eBay March 2012. Notes: both chassis plates; servo; wiper motors upside down. 3701 Chassis plate for sale on eBay September 2015. The Champ has either been scrapped or, as some dealers did, exported the Champ but kept the chassis plates. 3976 3 Sqn. 45 Essex Signal Regt. TA annual camp, 'Proteus', Ollerton, Notinghamshire, 1965. 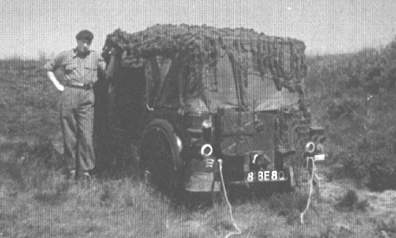 This is an FFR, (note, radio box with aerial on nearside wing) not an FFW, the FFR had independent batteries for the radio, not as on the later FFW which had a 2 speed dynamo and extra batteries to cope with the radios. From Gus Gowers. 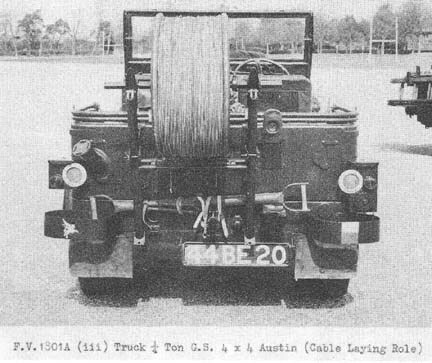 3989 39 BE 89 towing a cable laying slatted trailer in West Germany 1954 with Tac HQ of a Brigade Group. 4420 In the cable laying role. Pioneer tools on the back, original 'trumpet' rear lights, reflectors straight onto the light turrets (later an EMER mod used a bracket fixed to the light turret). In the Parachute Regiment. 4566 Link to British Pathe news film, 'Terriers Marathon', London 1964.One of the Champs is, I believe, 45 BE 66. Thanks to Bruce Hoad for the link. 4578, NDG 654F On eBay January 2014. Notes on mileage. July 2014, restoration nearly finished. 4873 Gunther in Switzerland is recreating a fire engine. 6982 63 BE 82. 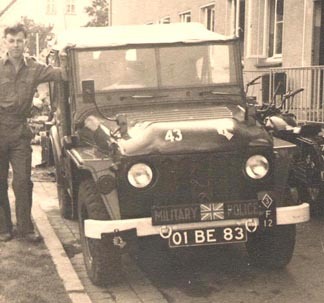 First photo: at Bunde\Lubbeka, Germany in 1957 with the Royal Military Police, RMP. Bridge plate is 4. From Brian Simpson. Second photo: from CMV Magazine. This Champ has a flashing beacon, in the machine gun post hole? The spare wheel is the wrong way around and stresses the rear body. 6612, HUT 553D In International OFF-Roader & 4x4 Owner March 1995. 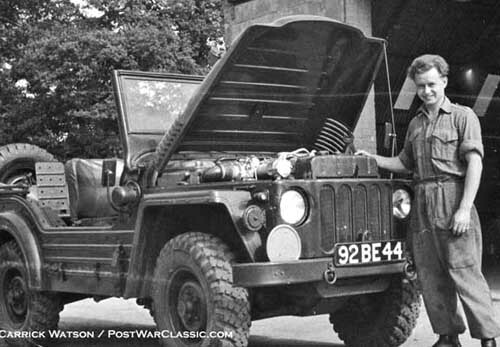 6878 In military service, driver Keith Patterson. 7116 For sale in France in mid-2000 for £3,000, the engine no. was 5304 (a Rolls Royce built B40, MK5A. The Champ was very restorable. Photo 2 shows electric windscreen wipers. 7324, SSJ 718 73 BE 24. 7396 Photo 1959, Royal Military Police. '4' Bridge Plate. 7840 The remains belong to John Mastrangelo, mentioned in MVT WINDSCREEN magazine, no. 111, 2006, page 46. 8180 The BE number is slightly indistinct but looking at the original photo I think it is 8180. Yorkshire Moors, 1966. 3 Sqn. 45 Essex Signal Regt. TA. From Gus Gowers. 8647 Current. On eBay April 2012, 'sold' and relisted. Roll cage. 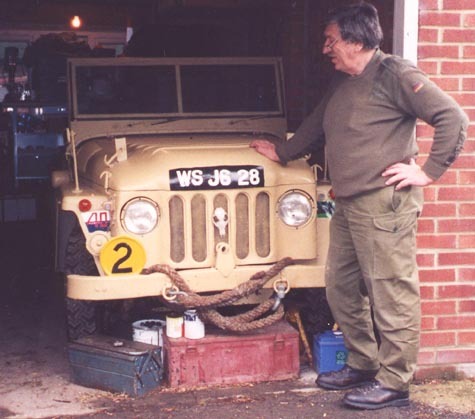 9244 A website with memories of a serviceman's work with parachuting Austin Champs and link to an in-service picture of 9244, 92 BE 44 (to see 9244 click on, 'a very heavy machine ...') Main website, "ever seen a flying Champ"
9257 In military service, driver Keith Patterson. 9263, SVF 260G On eBay July 2014, probably not restorable. 9372, OOM 493G Ex Gus Gowers Champ towing an artillery piece. 9384 93 BE 84. From MVT's Windscreen magazine, 2006. Blank bridge plate. Camouflage net over windscreen and it seems camo over headlights. 9431, RDF 566G In International OFF-Roader & 4x4 Owner March 1995. 9499 Chassis plate for sale on eBay September 2015. The Champ has either been scrapped or, as some dealers did, exported the Champ but kept the chassis plates. 9657 96 BE 57 9657 in Belgium, November 2012. 10101 01 BF 01, 10184. On eBay November 2015. 10230 02 BF 30 going into storage. 10502 EHV 786D 05 BF 02. known history. 10820 Chassis plate for sale on eBay September 2015. The Champ has either been scrapped or, as some dealers did, exported the Champ but kept the chassis plates. 10964 PUV 542F 10964, PUV 10964. known history on eBay. 11116, AAO 876A Ebay classified advert, November 2011. MOT 01\06\2012. £s6,495. 11023 NDD 470M 10 BF 23. John Mastrangelo's Champ. 11316 from MVT'sWindscreen magazine2006. (2nd. from left in photo). John Mastrangelo, "(Can't guarantee I have the registrations correctly). 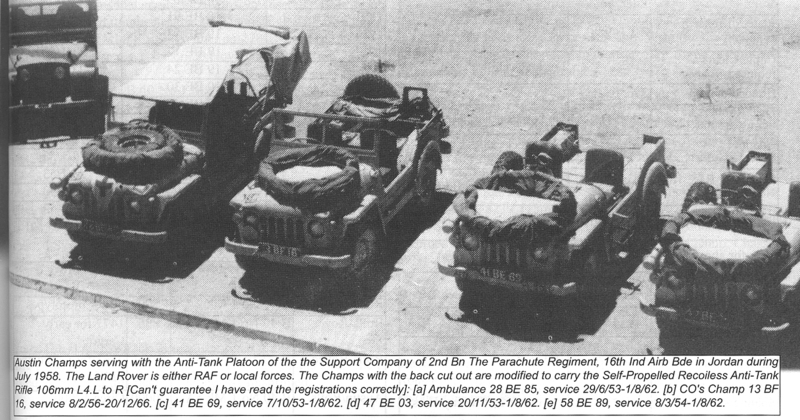 Anti-Tank platoon of the Support Company of 2nd Btn the Parachute Regiment 16th Ind Airb Bde in Jordan during July 1958. 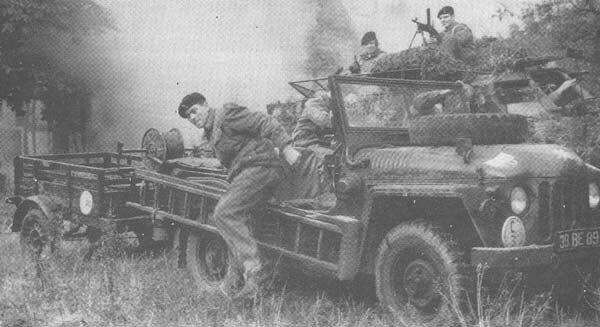 Champs with the backs cut out are modified to carry the Self-Propelled Recoilless Anti-Tank rifle 106mm L4. CO's Champ, service 8/2/56 to 20/12/66. 11419 on eBay April 2012. 11443, LHU 125E The owner has done an interesting arrangement of the stop light, tail light and indicators. 11764 17 BF 64. Referred to in MVT's Windscreen magazine in conjunction with 18 BE 98, 1898, year 2000. In Australia. 11765 17 BF 65, picture Legendmagazine, October 2002. The following by John Mastrangelo, 1st.Battalion The Royal Ulster Rifles of 51st. Idependent Infantry Brigade. 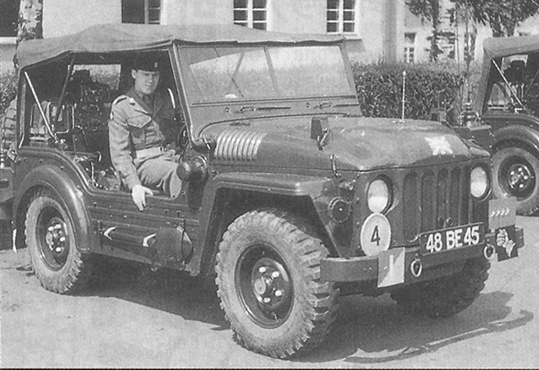 The number 56 indicated the second infantry battalion in the brigade between 6/6/51 and 10/3/59. 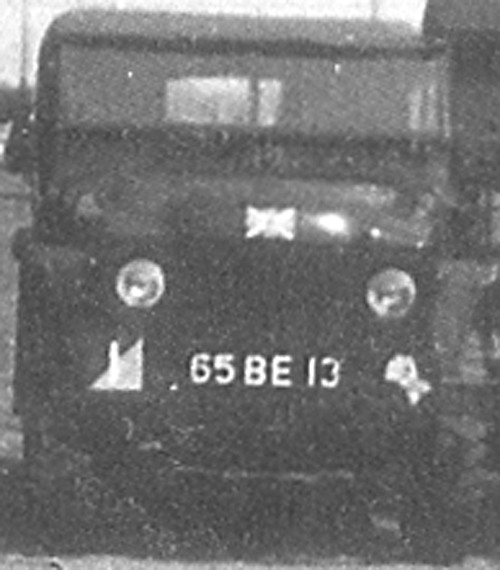 In service 28/6/56 to 9/1/67. 433 XUJ April 2015. For sale on eBay. 449 YUN December 2012. For sale in Wales, UK. 975 LGU Wolseley Mudlark, in CN July 2000. The Mudlark was for sale at that time. BOO 152F Trace. 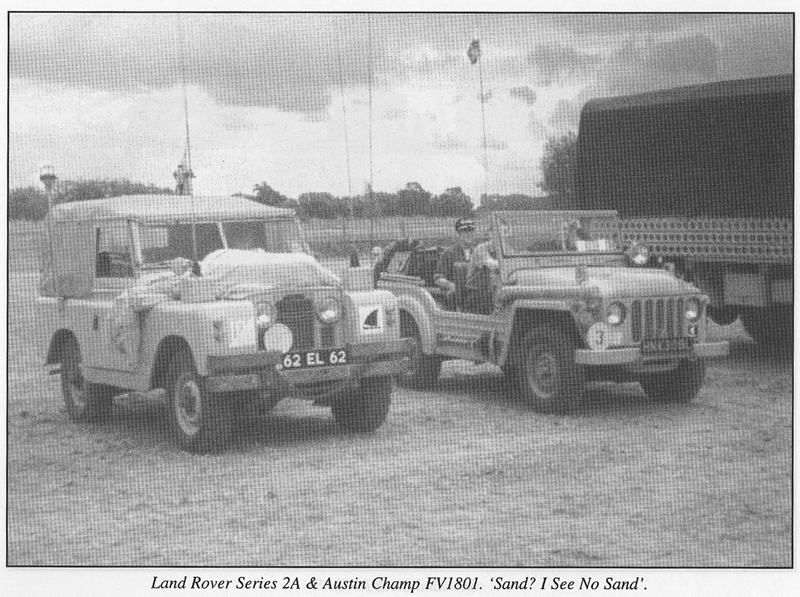 The owners in 1970 would like to know if the Austin Champ survived? DHF 307E On eBay March 2013, sold for £4,850. ESU 482 On eBay October 2015, price £11,950. FVW 78H On eBay October 2015, price £5,500. GTV 699V Gary used to own this Champ in the late 1980's and has some pictures to pass onto the current owner. HMJ 955F In a promotional video on Youtube. JFW 553E JFW 553E. (it is possible that the J in the registration number is wrong. This Champ was in a serious accident in 1984. Photos by Andy Ballisat. 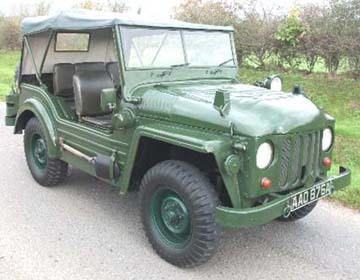 JLR 490 Gutty Brief notes and a picture of a Nuffield Gutty. LDR 502 Simon in Australia hopes to find out what happened to LDR 502 that he owned in 1986. Simon now owns 1624 (June 2012). ONU 997E Classified advert on eBay February 2014. PLF 861 PLF 861, This Champ was used in trials over 10,000 miles at FVRDE in Surrey May 1956. 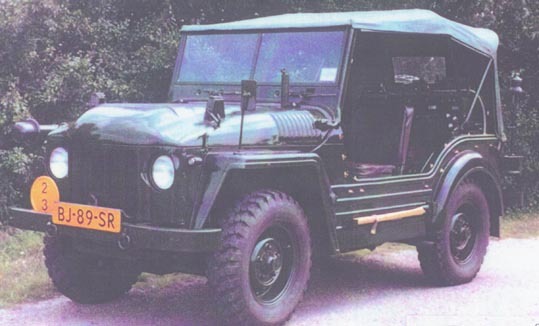 The conclusion, "The performance and reliability of the vehicle has been up to required standard throughout the trials." RFF 979 In CN mid-November 2011. The spare wheel is the wrong way around. SVF 260C SVF 260C On eBay May. 2014. Breaking for spares. WSJ 628 The owner with his Champ, CN July 2000. On the following Champs I have no chassis or registration number but they may have been sold on eBay or have some interesting points on them. Numbers Unknown Champs, numbers unknown, most from eBay. Sold in Belgium Champ sold in Belgium with tailgate.